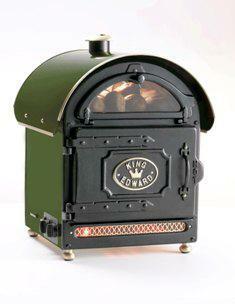 Good design never dates and the King Edward Potato Baker will enhance most environments, whatever the décor or period feel. The timeless good looks and colour options of the King Edward range means that your baker will fit in beautifully with any colour scheme or design layout. It is hand built with solid cast doors and a stainless steel interior. The fan-assisted main oven cooks a batch of potatoes quickly and evenly whilst the illuminated display area entices your customers to buy with its mouthwatering display of ready to serve jackets.